Economy car in a muscle car body. Kevin Carnevale found this solid, six cylinder LeMans in the weeds next to an auto repair shop in North Reading, Massachusetts. "There was a weathered 'For Sale' sign in the window," said Kevin. "I owned one of these when I was 18 years old back in 1988 but I sold it." Kevin didn't want this one to get away. He grabbed the sign to prevent anyone else from knowing the Pontiac was for sale, just in case he had difficulty contacting the Pontiac's owner. You may want to file that shrewd buying tip into your memory bank to use later. 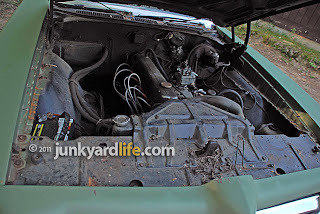 Yes, that is an inline six-cylinder engine under the 1970 Pontiac LeMans' hood. 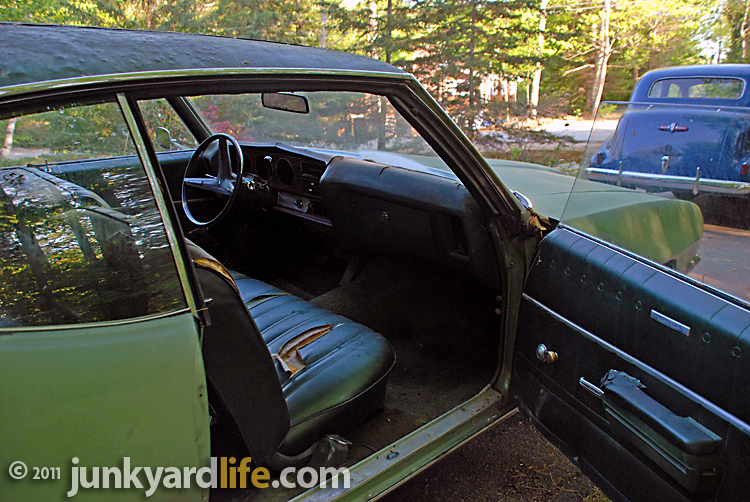 The owner wanted $3,500 for the green, non-running, 6-cylinder coupe. "I told him that I wanted the car but could only give him $2,000 for it," said Kevin. After a lengthy phone call about the car, the 72-year-old owner agreed to sell the LeMans for $2,000. That's more than 40 percent less than the owner's asking price. Another excellent buying tip. There is always room to negotiate. Especially when the for sale sign is rotting in the window. A mostly original 1970 Pontiac LeMans. Green was a very popular color. The car was purchased in Texas in 1980. During the late 1980s it was repainted the original Palisades Green and was topped with an aftermarket vinyl roof cover. The car was parked in 2000 and still has a solid frame, trunk and floor pans. Storing the LeMans outside for a decade has allowed the usual rust spots to appear on the body and under the vinyl top. Kevin Carnevale hauls the 1970 Pontiac home. 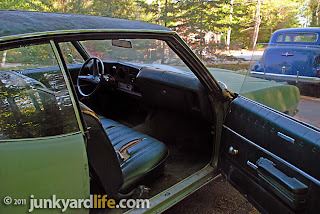 GM built economy cars during the muscle car era – nobody talked about them then or now. "A mild crate motor and a TH350 are in the plans," said Kevin. Part of his quick mini restoration will include "red paint, a GTO hood and wheels." Good luck, Kevin. Keep us posted. 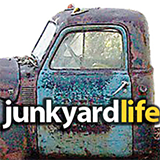 Junkyards are like hidden treasures for people who love to build and restore cars. They can get all the car parts they need at a cheap price. They also get to design their very own version of a particular automobile model. Nice find, but I wish he was restoring it to original. There can't be that many LeMans around with a 6 cylinder. Greatfind.Not a muscle car but who cares>I wish I still had all of the non muscle cars I had years ago!